We love Jose, of course we do, and we’re fully behind the man, but things are far from rosy at Stamford Bridge right now. To be honest, nobody is entirely sure what’s happening. What can Jose do? Costa is in terrible form and it’s becoming a frustrating sight watching him rolling along the floor rather than the ball into the net. Stoke was the epitome of everything wrong with Chelsea right now, and we wouldn’t blame him if Jose switched off the TV. But what was he doing? Naturally we expect he was watching the match and heavily involved with decisions on the touchline still, but we can’t help but think he might have been getting his Game Face on in entirely different circumstances. We all know being stuck in a hotel room is no fun, it can drive you barmy, and we imagine Jose was coming up with all manner of solutions to solving his goal-scoring problem. What a player that would be. 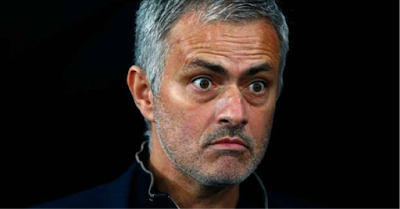 Which brings us to Jose getting his Game Face on in entirely different circumstances. 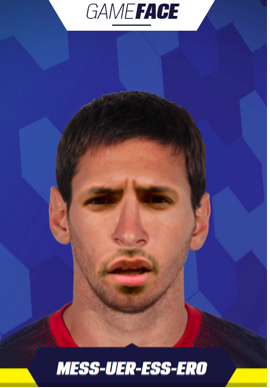 Game Face is a fun face mash-up combining some of the greatest players on the planet to create the ultimate footballer, and one which would certainly fire the Blues up the league sharpish. Created by Coral, it’s a chance to combine the talents of Messi, Ronaldo, Neymar, Bale, and Suarez, and see exactly what the Football Frankenstein would look like. At the moment, we certainly wish it could become a reality too, and we imagine this little bit of fantasy is what Mourinho really was doing whilst sitting watching his Chelsea side fail at the Britannia.